All hotels listed below will have complimentary shuttle service during the conference. The award-winning Radisson Hotel Corning is located in the heart of Corning’s downtown Gaffer District and is just steps away from Historic Market Street filled with local restaurants, bars, shops, boutiques, glass studios, museums, and Corning Incorporated World Headquarters. Corning is known as the gateway to the Southern Finger Lakes and only a short drive from Keuka and Seneca Lake Wine Trails. 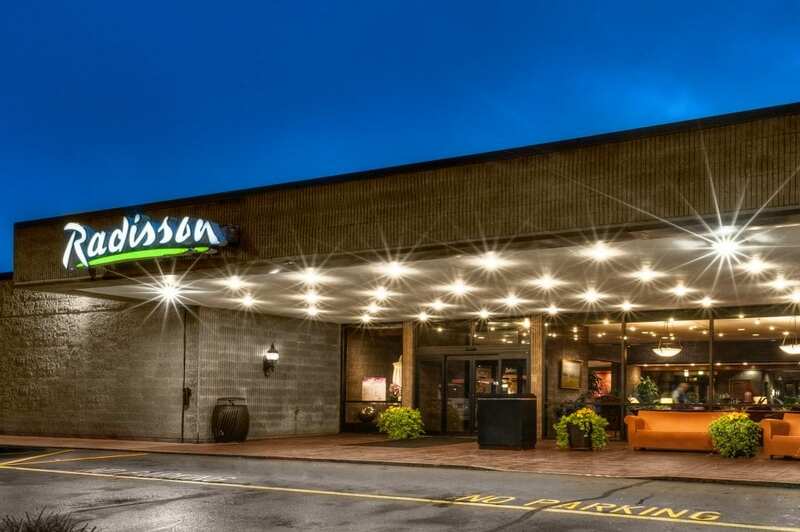 Radisson Hotel Corning offers numerous on-site amenities and services including a fitness center, free Wi-Fi, indoor pool, outdoor whirlpool spa, and Ageless Spa. Enjoy an upscale dining experience with exceptional service at Grill 1-2-5 and the Steuben Bar located in the lobby of the hotel. Radisson Hotel Corning also offers over 8,000 square feet of meeting space, ideal for conferences, special events, private meetings, corporate trainings and wedding receptions. To Book: Call Radisson Hotel Corning directly (607-962-5000) or toll-free reservations number (1-800-333-3333). Reference TBEX when making reservations. The Staybridge Suites® Corning hotel offers one- and two-bedroom all-suite accommodations and exceptional service for your business trip or family vacation. There’s free Wi-Fi access throughout the hotel, and the Business Center offers all the tools you need to stay productive. You can shoot hoops on the sports court or maintain your workout in the Fitness Center. Start your day with a hot breakfast at the free breakfast buffet. We also have free guest laundry facilities, an indoor pool and Evening Receptions on Monday, Tuesday and Wednesday. The hotel’s location in downtown Corning, NY, is minutes from some of the area’s best attractions, including The Corning Museum of Glass and historic Market Street. To Book: Call hotel directly at (607) 936-7800 and mention that you’re associated with the TBEX Conference. 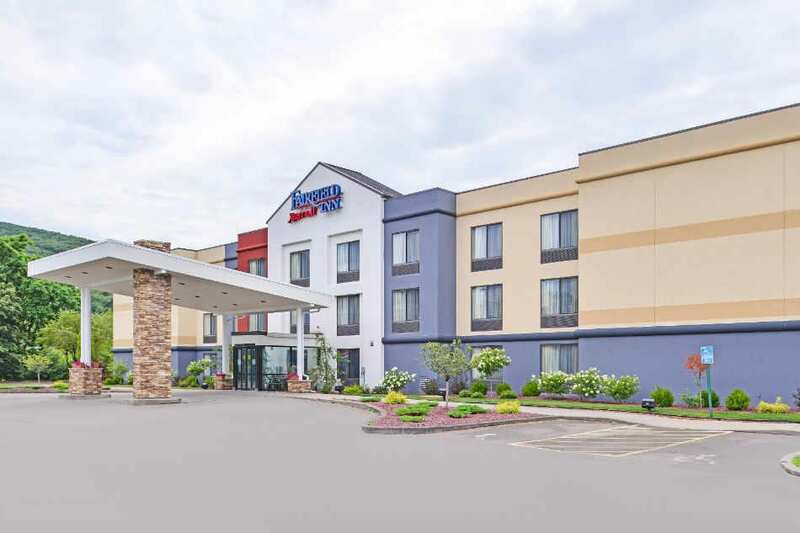 The Comfort Inn® hotel is conveniently located within walking distance of The Corning Museum of Glass and historic Market Street, offering quaint specialty shops, antique stores, glass-making studios and numerous restaurants. Guests will appreciate many hotel amenities and features, including free full breakfast, free high-speed Internet access, microwaves, DVD players, and refrigerators in all rooms. Free coffee is available as well. To Book: Call hotel directly at (607) 962-1515 and mention that you’re associated with the TBEX Conference. 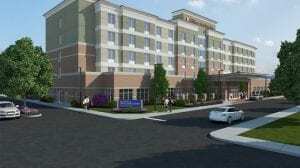 Welcome to brand new Hilton Garden Inn Corning Downtown, located just steps from The Corning Museum of Glass. Walk the foot bridge to explore top dining and craft breweries in the Gaffer District or head just a few minutes north to see races at Watkins Glen International. The National Soaring Museum and Harris Hill Amusement Park are close by and we offer excellent proximity to the Finger Lakes and popular wine trails. Discover all the tasty options at The Garden Grille & Bar®, from cooked-to-order breakfast to evening cocktails. Evening Room Service is perfect after a busy day and our Pavilion Pantry® is always open when you’re craving snacks. Relax in our heated indoor pool or burn calories in the fitness center. We have work needs covered with a well-equipped boardroom, stylish ballroom and 24-hour Business Center. To Book: Call hotel directly at (607) 438-1400 and mention that you’re associated with the TBEX Conference. 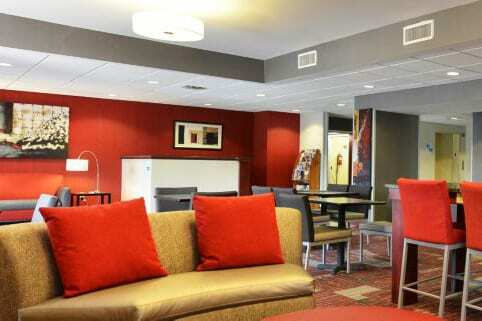 Travel with confidence by checking into the Fairfield Inn Corning Riverside, and enjoy our comprehensive, outstanding service that’s designed to make all of your travels easy and comfortable – at an exceptional value. 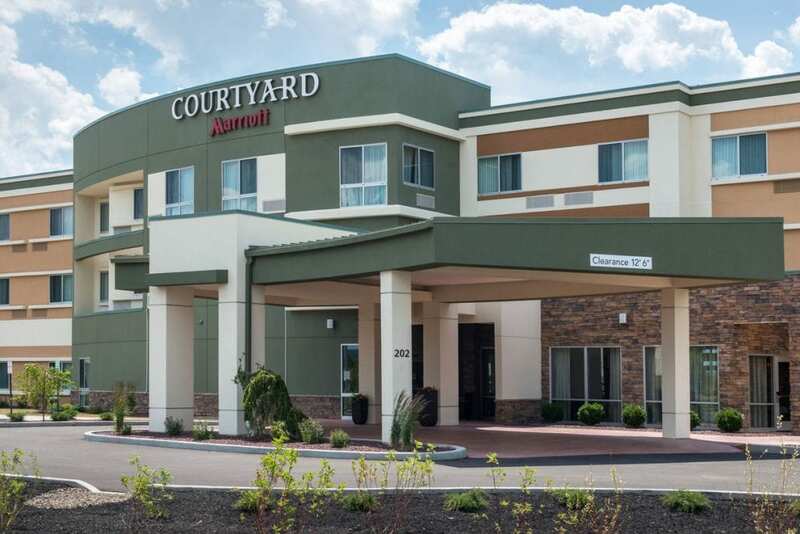 With a great location right off of Interstate 86 and Route 17 by the world-renowned Corning Museum of Glass, we are always ready to welcome you with amenities such as our thoughtfully designed guest rooms that allow you to work and relax. Complimentary Wi-Fi is provided throughout the hotel to help you stay connected during your travels. Our fitness facilities include an indoor pool and stylish exercise room. Join us each morning for Hampton’s free hot breakfast buffet or grab a free Hampton On The Run™ Breakfast Bag, available Monday through Friday. Feel at home in a comfortable guest room, equipped with free WiFi, a microwave, a refrigerator, an ergonomic work desk and a clean and fresh Hampton bed®. 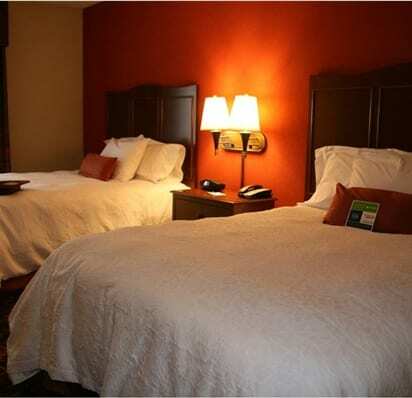 Featuring more space and a sofa bed, our king room with sofa is ideal for families and extended stays in Corning, NY. Our 24-hour Suite Shop stocks a selection of snacks, chilled meals and travel essentials. Print documents in the free business center and hold a small meeting in the 480 sq. ft. conference room. Take advantage of a variety of perks and leisure amenities including an indoor swimming pool and a free, modern fitness center. To Book: Call hotel directly at (607) 936-5020 and mention that you’re associated with the TBEX Conference 2018. 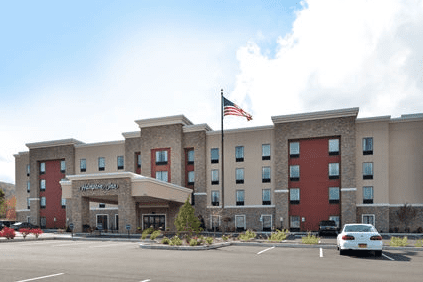 Relax at the Holiday Inn Express Painted Post – Corning Area hotel, we are located off Interstate 86 at exit 43, in Painted Post. Our location is just 4 miles from The Corning Museum of Glass and the headquarters of Corning Incorporated, and only 24 miles from the Finger Lakes Region, which is one of New York State’s largest wine-producing areas. Start your day right with a delicious breakfast and after a busy day retreat to the comfort of your guest room featuring a clean and comfortable bed for a great night’s sleep. Make use of the large desk, perfect for catching up with work from the comfort of your room or relax with a free DVD from our extensive library. Each room is equipped with free high-speed Internet access, a 37-inch flat-screen television with DVD player, microwave, and mini-refrigerator. To Book: Call hotel directly at (607) 936-3344 and mention that you’re associated with TBEX. 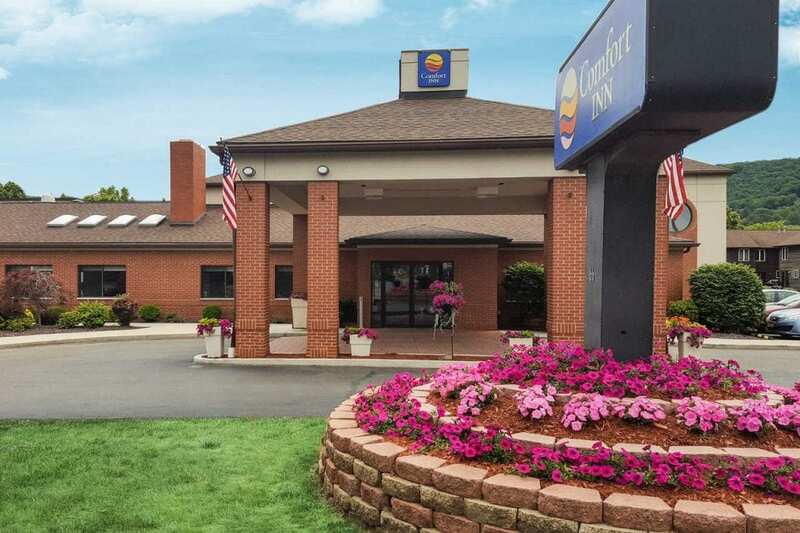 We are conveniently located off Interstate 86 making it a convenient choice for both business and leisure travelers. Our services include a 24-hour Fitness Center, free parking and free guest laundry facilities. The hotel is equipped with a 24-hour business center and each suite includes free Wi-Fi access and spacious work area. 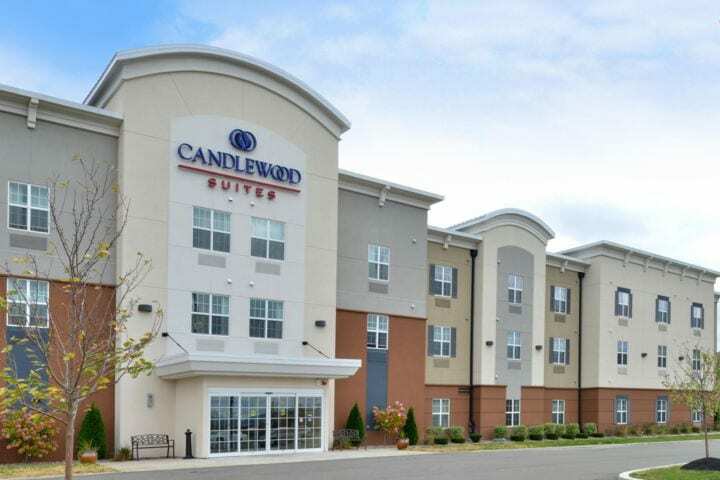 Furnished for comfort and daily living, the suites at the Candlewood Suites have plenty of space for relaxing, entertaining, or meeting with colleagues. Our full kitchens have the amenities you need to get you going in the morning and to make your evening complete. Our outdoor Gazebo and grilling area will help you relax and unwind after a long day. In need of a quick bite to eat be sure to stop by our 24-hour Candlewood Cupboard that sells value priced items. To Book: Call hotel directly at (607) 873-7676 and mention that you’re associated with the Travel Bloggers Conference (TBEX). The new state-of-the-art lobby at Courtyard Elmira Horseheads, NY provides greater flexibility and choices for our guests. At the center of it all is The Bistro, your destination for a great breakfast, drinks and dinner during the evening. We proudly serve Starbucks Coffee. Breakfast is served Monday through Friday 6:30am to 9:30am and Saturday and Sunday from 7am to 10am. Our evening hours every night are 5pm to 10pm. 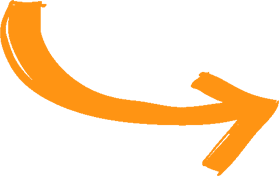 You’ll also enjoy inviting, flexible spaces where you can work or relax, free Wi-Fi throughout and easy access to the latest news, weather and airport conditions via our Go Board technology. Plus, our well-equipped fitness center, indoor pool will help you stay refreshed and energized. Whether traveling for business or pleasure, your stay at Courtyard is sure to be more comfortable, more productive and more enjoyable than ever before! 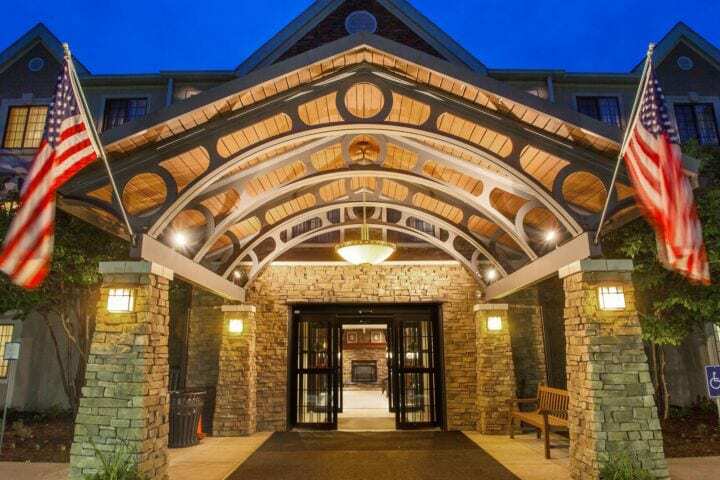 Strategically located near the Corning Museum of Glass, Arnot and Guthrie Hospitals, Elmira Corning Regional airport, Eaton Corporation, CAF, and the Finger Lakes. To Book: Call hotel directly at (607) 795-5900 and mention that you’re associated with the Travel Bloggers Conference (TBEX). Relax in our wonderful guest rooms offering thoughtful amenities that include a microwave, refrigerator, Keurig coffee maker and complimentary Wi-Fi. Take a dip in our indoor swimming pool or unwind in the whirlpool spa. Fitness Center, 24-Hour Business Center and beautifully decorated meeting and banquet space available to accommodate up to 150 guests with an onsite catering team to assist you in your planning for any special occasion or meeting. 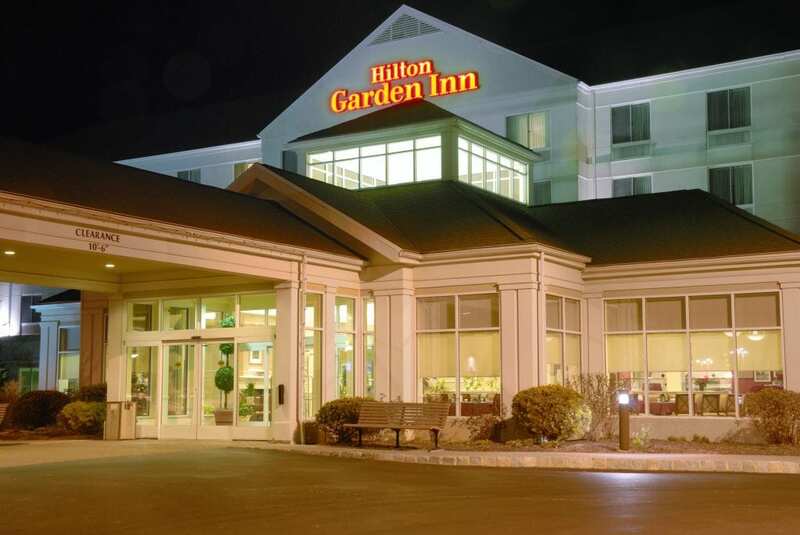 The Hilton Garden Inn Elmira/Corning’s guests also can enjoy a great meal in our Garden Grille restaurant serving breakfast, lunch and dinner. Gather in the Ernie Davis Lounge open daily at 5 pm for a great snack and wonderful glass of Finger Lakes Wine. Help yourself to a warm, refreshing choice of coffee or tea as you check in; our team prides itself on the fresh beverage service in the lobby. Relax in a spacious guest room at our hotel in Horseheads, NY and enjoy a range of free amenities, including Wi-Fi and Hampton’s free hot breakfast. Even if you’re in a rush, simply grab one of our free Hampton On the Run® Breakfast Bags, available Monday through Friday, for a quick, healthy meal to go. The fresh beverage service in the lobby and hand-blown glass pieces worked into the decor, emphasize the relaxing atmosphere of this LEED-certified hotel. Mill Creek Cabins is your home base for exploring the Finger Lakes. 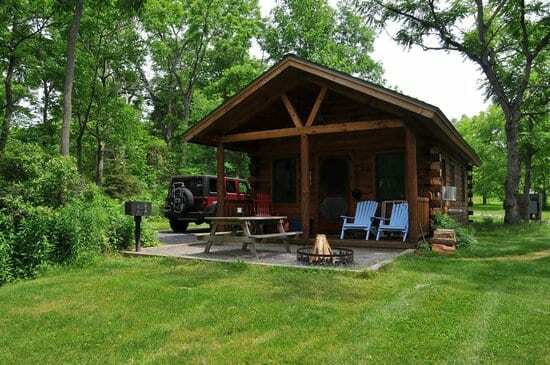 We have three fully furnished cabins for family-friendly and pet-friendly accommodations, nestled on 40 secluded acres in the Finger Lakes National Forest. These inviting cabins give you the seclusion of a rustic retreat in the woods with all the convenience and comforts of a hotel / bed and breakfast. Typically $179-219 per night, we are offering a significant discount for TBEX attendees! While it is a 45-50 minute drive to the show, you’ll be driving through wine country, the Seneca Lake Wine Trail on either side of you. We will provide you with a picnic breakfast every morning. Typically delivered at 8am, we will make an exception for TBEX attendees and deliver them earlier so you can start your day on a full country breakfast stomach! After the hustle and bustle of the show, you’ll be thrilled to be returning to your quiet cabin. If it’s still light out, take a hike on the one mile trail around the property. For dinner, grill some hot dogs and burgers, or head out to one of the amazing restaurants within 15 minute driving distance of the cabins (I’ll provide reccos). After dinner, put on your swimsuit and sink into the communal 6 person Jacuzzi hot tub. Then build yourself a campfire and curl up with a book or watch a movie. You’ll rest well at Mill Creek Cabins!